Once you’ve brought your fur piece home, there are several ways to reduce the typical musty smell. A good old-fashioned outdoor airing will freshen it up a bit. For more persistent smells, hang the piece in a plastic garment bag, and add a small, open bag of fresh coffee grounds at the bottom. Seal, and let the coat hang for three days. Once complete, the coffee will have absorbed the odors, and your coat will retain a coffee smell only for a few more days. In addition, if you have any reason to be concerned about carpet mites or moths, insert the coat in a sealed plastic bag and place in the freezer for three days. 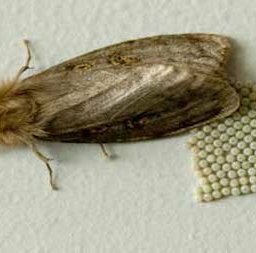 We offer free moth proofing with our fur cleaning services. Click here for more information. For day to day storage, keep your fur piece hanging loosely in a dark, cool closet – sunlight and compression can damage or discolour the hairs. If it gets wet, simply hang the coat in an open space (not touching anything) and allow to dry. During the summer, hang fur in a breathable cloth garment bag and store in a cool, dry, dark place. If you can afford it, have your coat professionally stored in the off season by your local furrier. A well-treated fur can last for a lifetime. Now, enjoy the rest of the snowy season, and let us know if you make any noteworthy vintage fur discoveries!